Is Dear Aunt Sally “Batty”? When tutoring, I enjoy pondering the mistakes students make. I find mistakes interesting to think about, as they give me insights into why students have trouble with math in general. 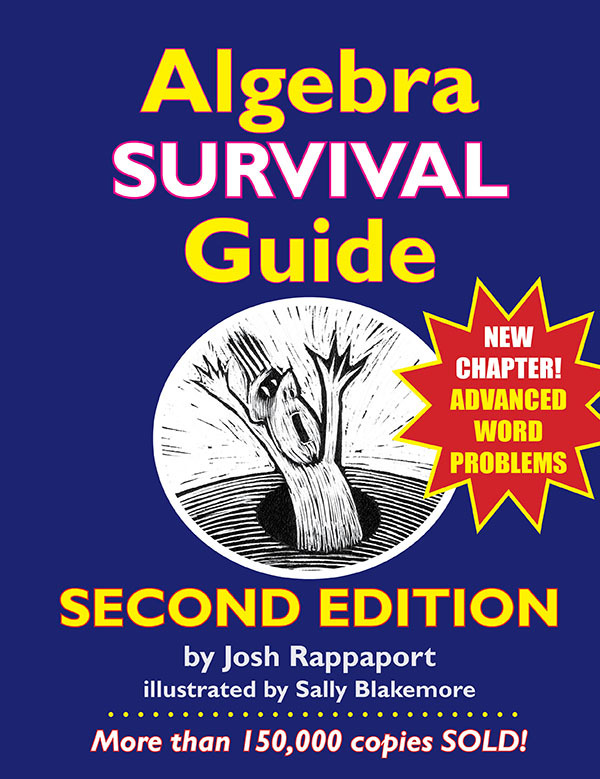 And one of the mistakes I’ve been seeing early this year involves one of our most colorful characters from the world of algebra, Dear Aunt Sally. As in: “Please Excuse My Dear Aunt Sally,” the mnemonic phrase designed to instill an understanding of the order of operations. I’ve never found out what Dear Aunt Sally did that requires us to excuse her poor behavior. But I have discovered something that might qualify for bad behavior. It’s the way in which the words of this very expression sow confusion for many students. In particular, I’m referring to the fact that the “M” of “my” appears to come before the “D” of “dear.” And the fact that therefore, many students conclude that they must always do multiplication before division. Generally, when being tutored, students take me at my word. I mean, I do have a good reputation, and I’ve written a few math books, so for the most parts, kids give me the benefit of the doubt, if I’m telling them something they have not heard before (it happens). But when it comes to “dear Aunt Sally,” and the fact that I sometimes need to clear up their confusion about her, boy do kids get defensive, as if Aunt Sally was really their aunt, and they need to make sure I don’t hurt her feelings …? Since Aunt Sally is such a “dear,” people tend to take her at face value. But too much. So here, let me, the “math ogre” in this respect, set the record straight. Just because the “M” of “my” seems to come before the “D” of “dear”, that does NOT mean that we do multiplication before division. The rule actually is this: you do not necessarily do multiplication before division; and you do not necessarily do division before multiplication. What you do is this: if an expression has both multiplication and division in it, you do WHICHEVER OF THOSE TWO OPERATIONS COMES FIRST AS YOU READ THE EXPRESSION FROM LEFT TO RIGHT. On the other hand, if you have this expression: 12 ÷ 4 x 6, you WOULD NOT do the multiplication first. Rather, you would do the division first because the division symbol comes BEFORE the multiplication symbol as you read the expression from left to right. So bear in mind that you can and will get the wrong answer if you don’t follow the true rule. Moral of the story: don’t let Dear Aunt Sally fool you into thinking that you must do multiplication before division. You do whichever operation comes first as you read the expression from left to right. And you continue doing operations in the order that they appear from left to right. One last point: you might be wondering why mathematicians have made the rule the way it is rather than the way students get fooled into thinking it works. The reason, I believe, is so we have flexibility when we write expressions. If we want someone to do division first, we write the division part of the expression first; if we need someone to do multiplication first, we write that part of the expression first. If the rule really stated that you always do multiplication before division, there would be no way to write an expression with both operations in such a way that the division is done first. That would hamstring people in writing math expressions, and we mathematicians cannot tolerate being limited in that way.